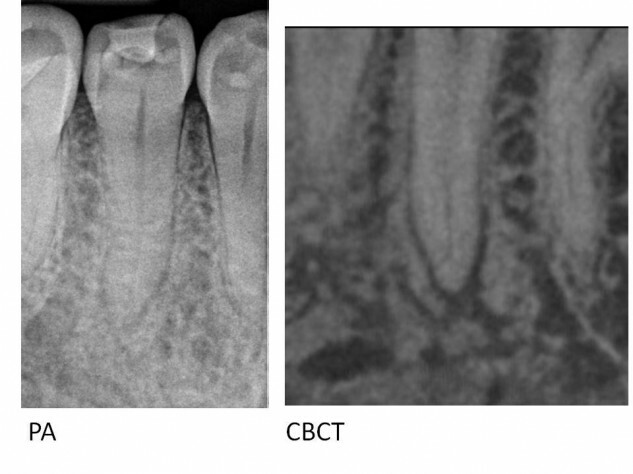 Benefits of CBCT: Locating secondary endodontic anatomy. A “fast break” is a term used when a root canal seems to disappear on a radiograph as you move apically. It is often mistaken for a “calcification”, but in reality these are areas where the main canal bifurcates into multiple smaller canals that are too small to be discernable on a radiograph. CBCT can be useful to verify the location of this secondary anatomy. 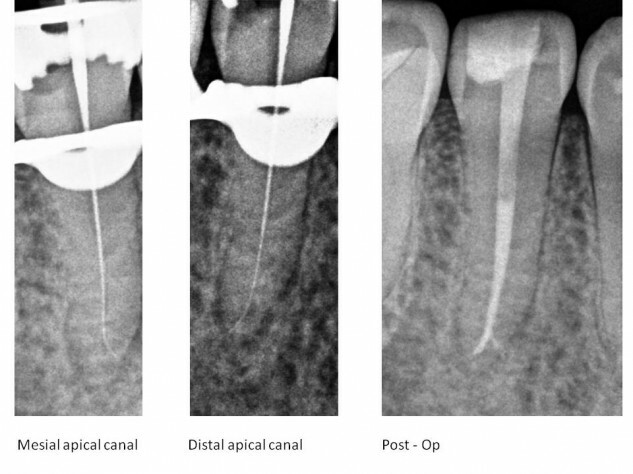 Note how on the PA, the canal is not discernable in the apical 2mm, whereas on the CBCT both apical canals are evident. CBCT technology facilitated the location, shaping, cleaning and filling of this complex anatomy.